The Mays Family Institute on Diverse Philanthropy is presenting a Diverse Speaker Series featuring national philanthropy leaders in Indianapolis during the 2018-2019 academic year. "Latinx Philanthropy: Engaging a Culture of Generosity and Collective Good"
The Mays Family Institute Diverse Speakers Series is presented in part by the IUPUI 50th Anniversary Event Fund. 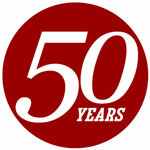 To learn more about other 50th Anniversary events, visit 50.iupui.edu. Title: "Queering Philanthropy: Emerging Research on Alumni Giving From and Supporting the LGBTQ Communities"
Strada Education Network was the presenting sponsor of this Mays Diverse Speaker Series event. Title: "Struggle and Progress: Philanthropic Leadership on Issues of Race and Equity"
Lumina Foundation was the presenting sponsor of this Mays Diverse Speaker Series event. In collaboration with Lake Institute on Faith & Giving’s Distinguished Visitor Series. Title: "Race Matters: Faith & Philanthropy in the African American Community"
Title: "Diversifying Talent in Educational Advancement"
Title: "The Urgency of Inclusion: Philanthropy in All Our Communities"